I've been wanting a kitchen scale for two reasons. First, I want to learn to bake macarons. 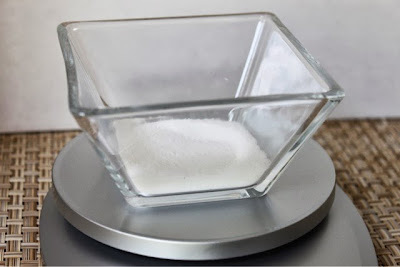 Macaron recipes are very specific and you have to weigh each of the ingredients. Second, I have absolutely no idea how much food weighs. Whenever I am faced with any kind of diet, I always guess when it comes to how much food weighs so I'm probably eating twice as much as I should be even when I call myself dieting. I was excited to have the opportunity to review this scale, the EatSmart Precision Pro Kitchen Scale from EatSmart. This scale is light weight, affordably priced, and comes in several color choices. 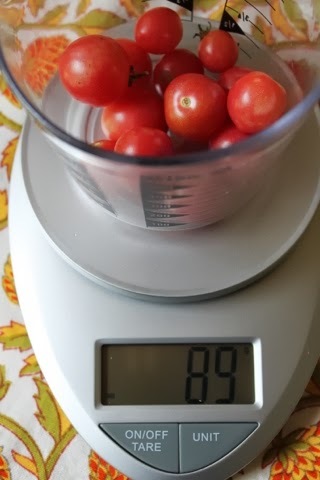 This scale is one of the smaller scales in the EatSmart line of products and is perfect for my needs as a home cook. Fortunately, tt is simple to use and comes with easy-to-follow directions. It doesn't take up much space in my kitchen cabinet. It was definitely a welcome addition to my kitchen tools. 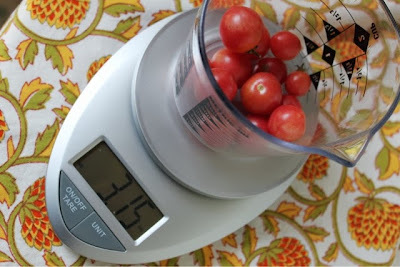 To use the scale, place your bowl on the scale. Hit the TARE button to reset the scale to zero. Select your unit of measurement and add your ingredients. I was quite surprised to actually see how much food weighed as opposed to what I thought it weighed. 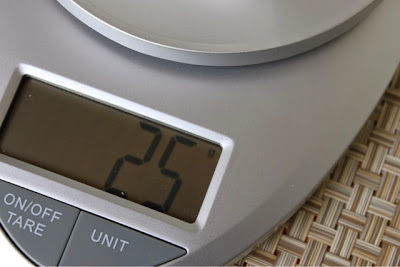 Now, I know how important it is to weigh your portions whenever you're cutting back or following a specific diet. 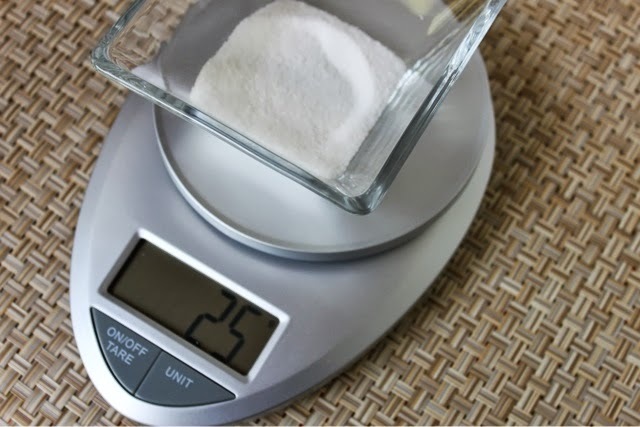 The scale has four units of measurement: grams, kilograms, ounces and pounds. This is an important feature, especially in baking. The ingredients for macarons are measured in grams. This is 25 grams of sugar. I would never have been able to estimate the weight of the sugar and certainly would never have been able to convert it from ounces to grams. Having this scale has opened up a world of baking possibilities for me, a world that I hope to be able to share with you soon. If you've been considering adding a kitchen scale to your home, I highly recommend the EatSmart Precision Pro Kitchen Scale. I know I'll be using it for years to come. Disclaimer: EatSmart provided me with the produce for review; however, the opinion expressed here is my own.